One of the Park Liquor ads that The Mac Weekly ran in their April 23 issue in 1993. Photo courtesy of Macalester archives. Park Liquors was already an established part of Macalester’s culture in the early 1990s. 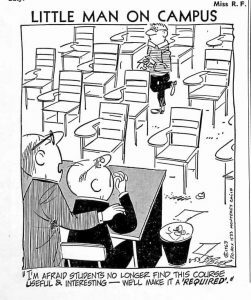 It had an especially close relationship with The Mac Weekly, but this ended in 1993. In the Feb. 19 issue of 1993, a headline titled “Weekly Shut Down” graced the front page. The accompanying article explained that campus security had confiscated two cases of beer from The Mac Weekly office, prompting Campus Programs to decide that alcohol was prohibited in the office and The Mac Weekly would be “unable to accept beer in exchange for advertisements.” The advertisements in question were weekly Park Liquor ads featuring poems written by The Mac Weekly staff. The Mac Weekly faced issues beyond drinking and reporting after the April 23 issue of 1993. 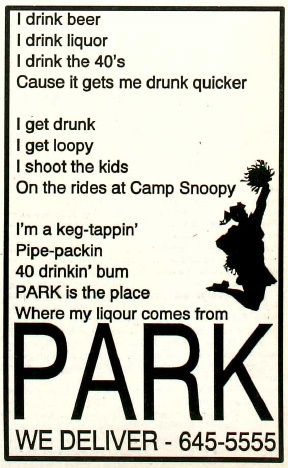 That week’s Park Liquor ad included a poem referencing drinking 40’s, getting drunk and then shooting kids on the rides at Camp Snoopy. (Camp Snoopy was the Peanuts-themed amusement park at the Mall of America before it became Nickelodeon Universe). The ad sparked outrage across the Macalester campus and beyond. 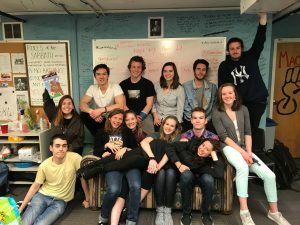 Parents, administrators and students wrote letters to the editor expressing their anger with the ad. Complaints of endorsing child abuse or murder and glorifying alcohol abuse were published. 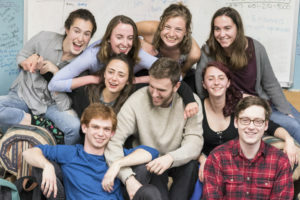 The Mac Weekly and Park Liquor’s tradition of exchanging space for alcohol ended in 1993, after multiple cases of advertisements missing the mark and offending the Macalester community. Today, only 25 years later, the thought of a school newspaper trading ad space for alcohol from a local business is outlandish at best. However, in 1993, it was not only freely admitted, but published. Kasia Majewski (she/her/hers) is a junior History major from Oregon, IL. 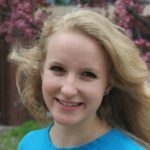 She works with The Mac Weekly as a contributing writer. Also, she can knit, but only hats.